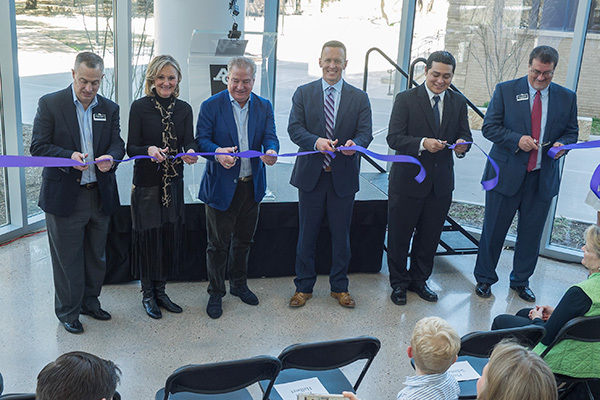 FROM LEFT: Board chair Dr. Barry Packer, Kathy Halbert, David D. Halbert, president Dr. Phil Schubert, sophomore Diego Zometa and Dr. Jeff Arrington cut a ceremonial ribbon Feb. 17 at the opening of Halbert-Walling Research Center. 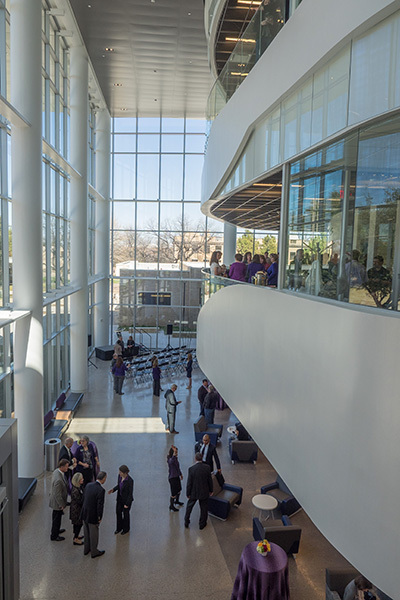 The Abilene Christian University community came out in force Feb. 17 to celebrate the grand opening of the Halbert-Walling Research Center, one of the pillars of ACU’s Vision in Action initiative. 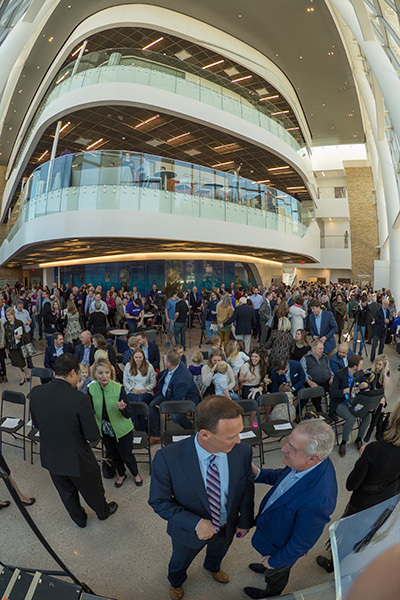 Hundreds gathered at the ceremony and toured the 54,000-square-foot facility that serves as the new home for the departments of biology, chemistry and biochemistry and the Body and Soul program for pre-health students. Its laboratories, classrooms and lecture hall boast state-of-the-art equipment and modern designs. 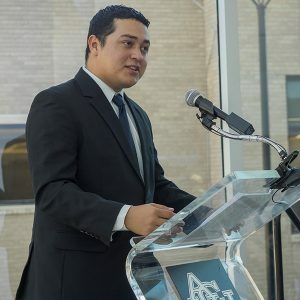 “Our science faculty, students and alumni already lead the way in national and international research and scholarship; it was time they had a home to match their immense talent,” ACU president Dr. Phil Schubert (’91) said at the ceremony. 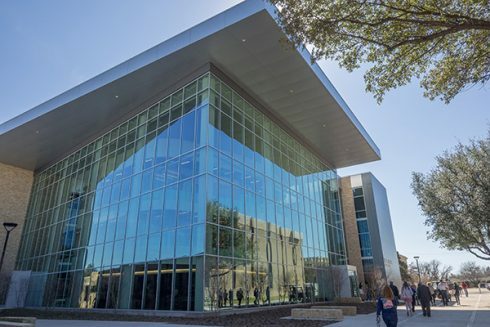 Halbert-Walling is the second of the three science facilities being built or renovated as part of Vision in Action; the Engineering and Physics Laboratories at Bennett Gymnasium opened in August 2015, and the first phase of the Robert R. and Kay Onstead Science Center (formerly the Foster Science Building) was completed in December 2015. The second phase is expected to be completed by the end of 2017. The projects, totaling $45 million of the $95 million initiative, bring ACU’s science facilities into the 21st century. The opportunities for study and research that will be available in Halbert-Walling will provide students with competitive advantages as they enter the job market or continue their education, said Dr. Jeff Arrington (’82), associate dean of the College of Arts and Sciences. Just as important, the relationships developed with their peers and with faculty will last for years. Guests begin to gather for the open house. The building celebrates the past even as it looks to the future. A large mural on the first floor pays tribute to the trailblazing men and women of the sciences. It spotlights several ACU alumni, including: Dr. Kent Brantly (’03), known for his work fighting the Ebola virus in West Africa, and Dr. B. David Vanderpool (’52), a renowned pioneering surgeon and medical missionary. 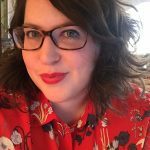 “They are but two of many Wildcats who have contributed to their communities, and to the global community, through professional excellence and a passion for seeking to understand God’s creation,” Schubert said. 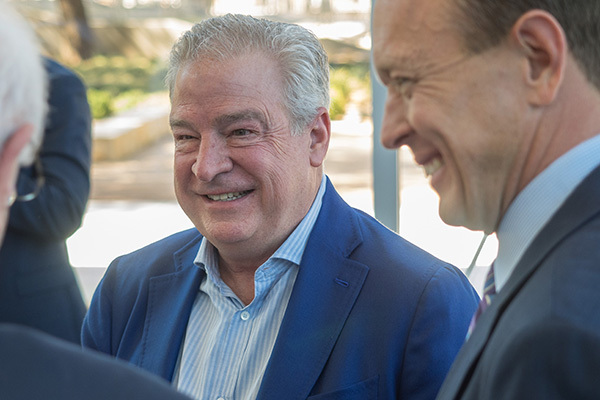 Also present at the grand opening among their many family members were David D. (’78) and Kathy (Gay ’78) Halbert of Colleyville, Texas, whose $15 million gift through the Caris Foundation spearheaded the facility’s creation. Halbert-Walling is named for David’s grandparents, the late Dean (’30) and Thelma (Bernard ’33) Walling. Dean Walling was an ACU trustee from 1976-83 and founding chair of the National Development Council during Design for Development campaigns that built numerous iconic buildings on the campus in the 1960s and ’70s. Watch for an inside look at the Halbert-Walling Research Center in the Summer-Fall 2017 issue of ACU Today magazine. The grandfather of David D. Halbert (center) was the late Dean Walling, a legendary leader among ACU trustees and benefactors. Dean and his late wife, Thelma, are namesakes of Walling Lecture Hall, a signature learning space on the new building’s first floor. ACU president Dr. Phil Schubert (middle foreground) visits with David D. Halbert. 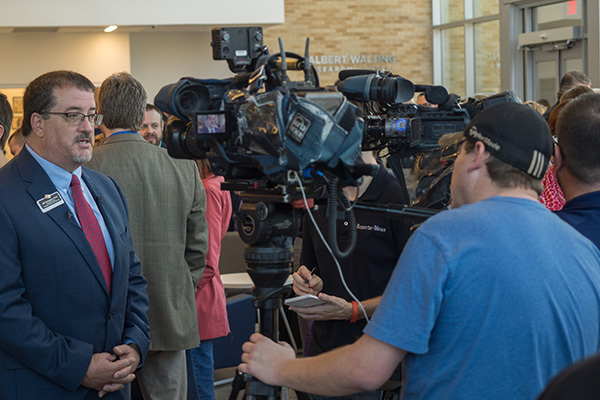 Dr. Jeff Arrington, who also directs the engineering program and is an associate professor of physics and engineering, is interviewed by local media.